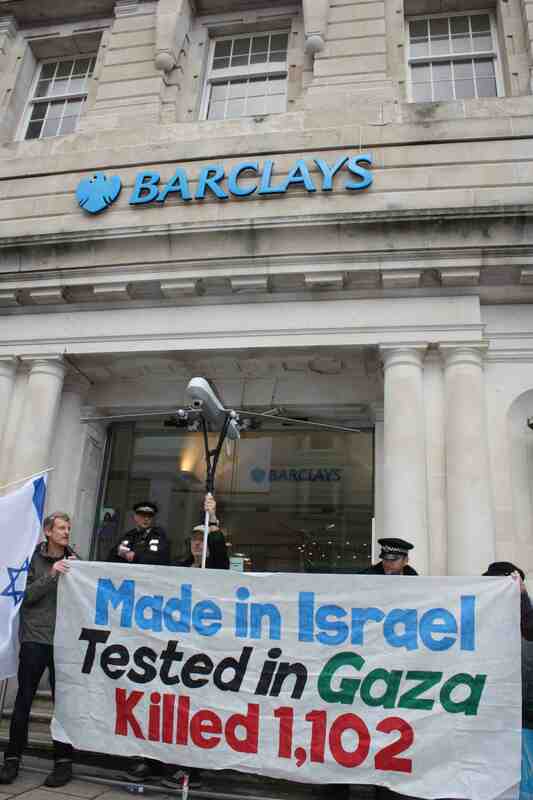 Barclays Bank is a major investor in Elbit systems, Israel’s largest military company. Through its subsidiary UAV Engines, Elbit Systems also operates a factory in Staffordshire here in the UK. 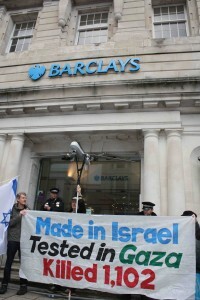 The company regularly exports military equipment to Israel. Elbit is also a part of the U-TACS partnership manufacturing the Watchkeeper drone for the UK Ministry of Defence. During Israel’s recent murderous offensive in Gaza, 2,150 Palestinians were killed, and hundreds of thousands made homeless as civilians, mosques, and UN relief compounds were deliberately targeted. Over 800 major air strikes were carried out by Israeli drones. 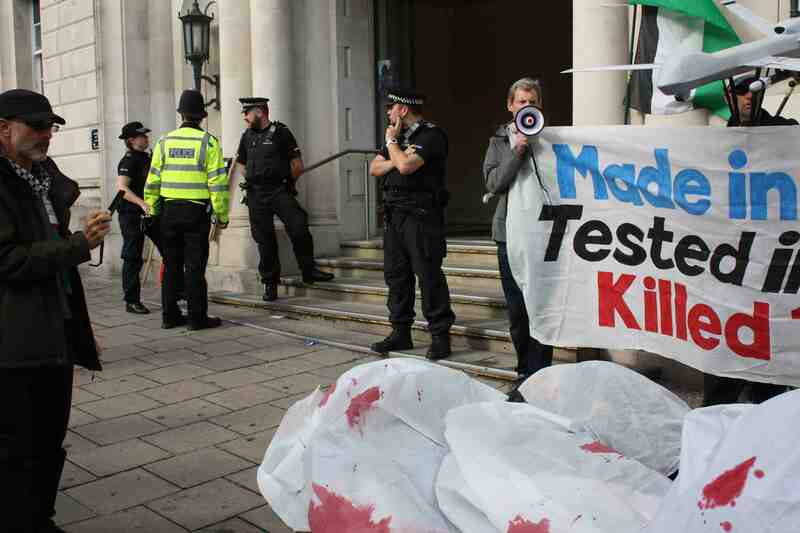 Many of these were manufactured by Elbit Systems. 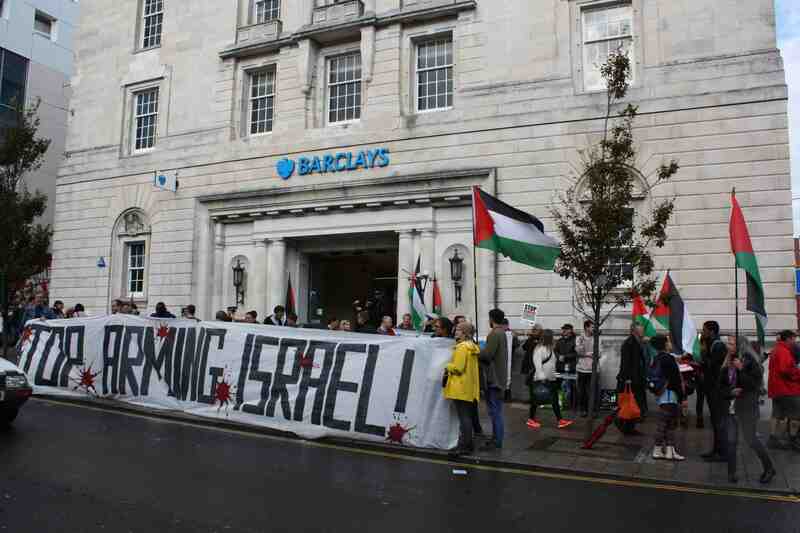 This demonstration was part of a national campaign to encourage Barclays customers to cancel their accounts to put pressure on Barclays until it disinvests from this murderous company. 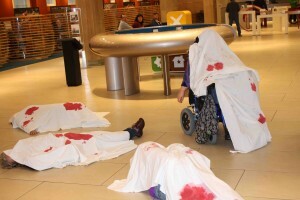 After a die-in inside the bank, to symbolise the thousands of Palestinians killed by Israeli manufactured Elbit drones, demonstrators were removed from the bank, but all the staff were told to take their break and the bank closed down for an hour. The demonstration continued outside, with the bank heavily guarded by Sussex Police. 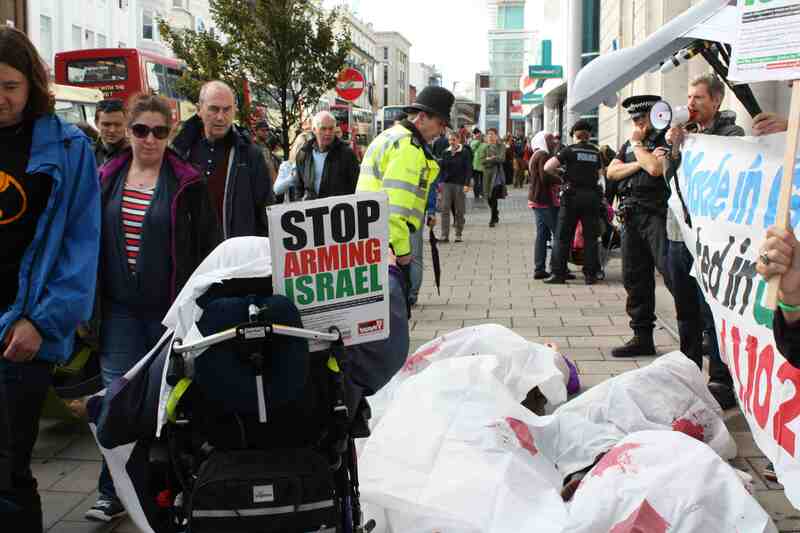 The demonstration ended with another die-in, this time on the pavement in front of the bank, to bring the public’s attention to Barclays investments in arms companies such as Elbit.